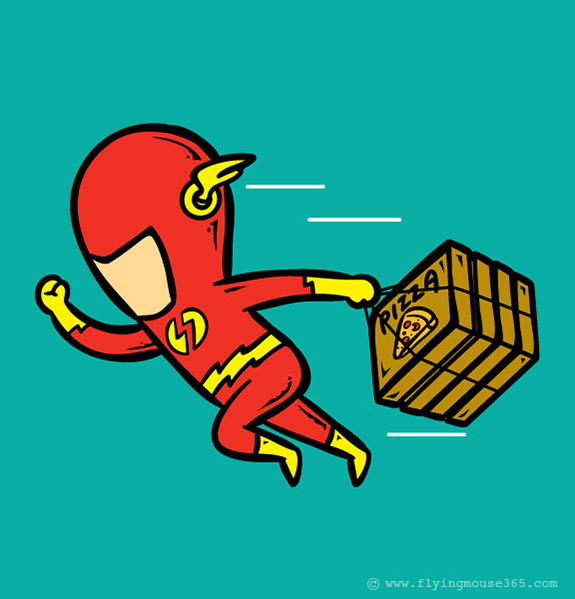 What Superheroes Do At Their Free Time? We all have secret aspirations for superheroes. I always wanted to be a superhero that has phenomenal potentials to save the world and conquer the enemies. In the childhood we used to lean on the superheroes like true maniacs, buying their stuff and goodies was an achievement in its own way. I guess we all have gone through this phase and trust me deep down in the bottom of our hearts we still crave for our superheroes. From the super looks of Superman, to the masculine looks of Iron man, from the tremendous quality of Spiderman’s casting webs to the outrageous power of Thor, all are so impressive and astounding to give tickles in the bones, cause our Goosebumps and chills in the spine. These action packed movies had remained blockbusters as people want to see such unreal things in a realistic way. 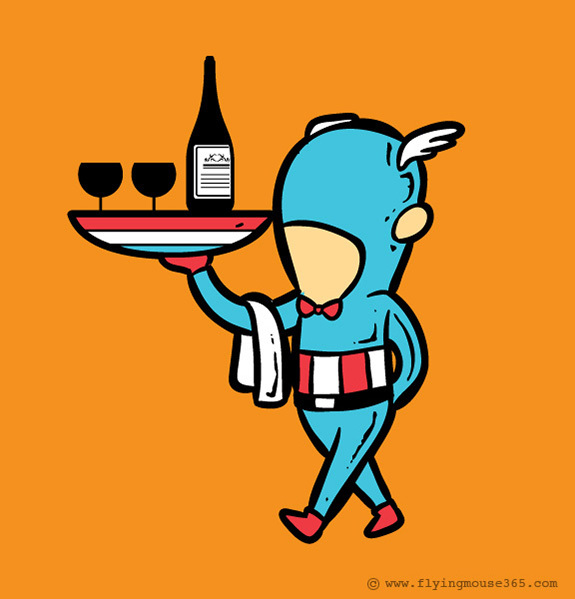 Have you ever thought what our superheroes would be doing as their part time jobs? It is kind of fun to look at the routines they are having when they are totally free and laid back. 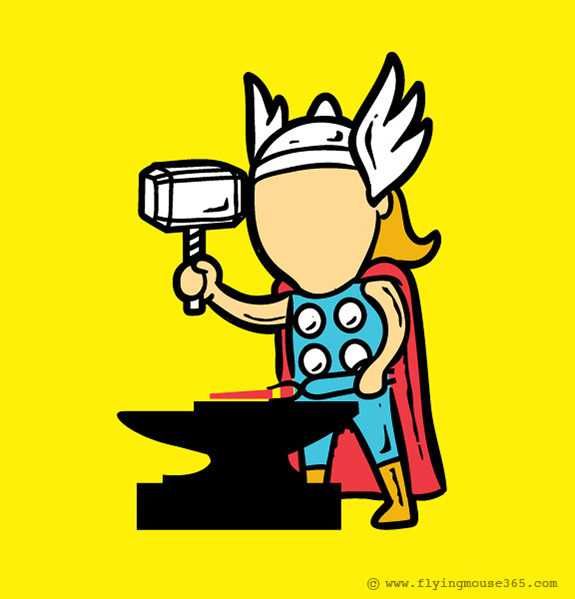 Today I am bringing along a fun illustrations of Chow Hon Lam who is an Illustrator from Malaysia. He creates a story behind every design and there lies a whole lot meaning behind each of his art piece. 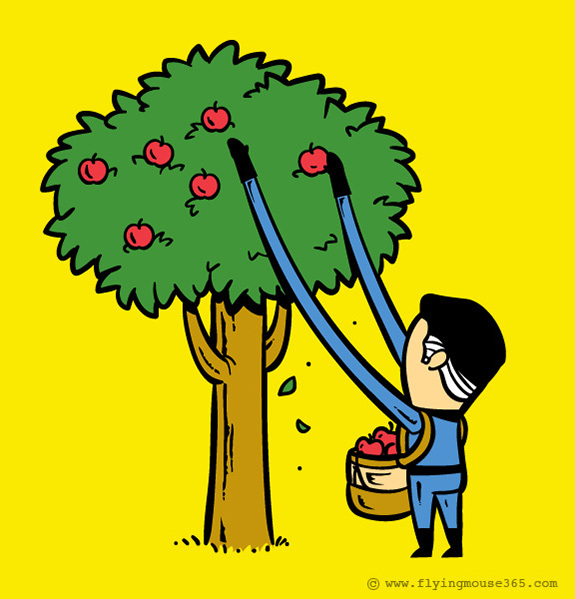 Chow Hon is our artist of the month. I am sure you will love this fun collection and since it is about superheroes it has become a bonus in itself. 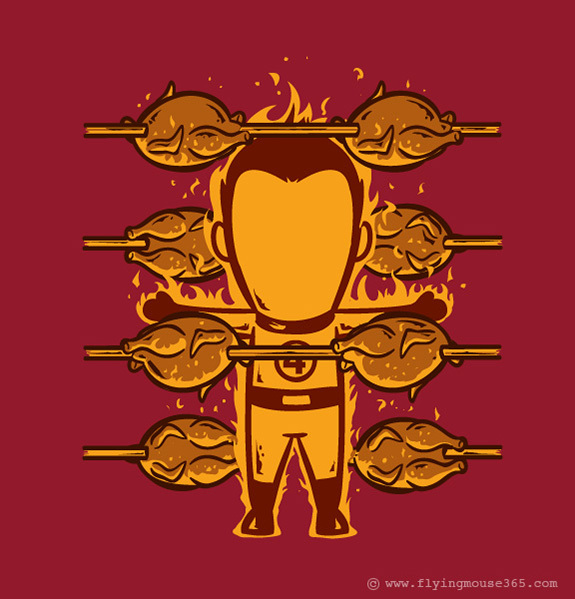 In this post you will look through what superheroes do at their free time. 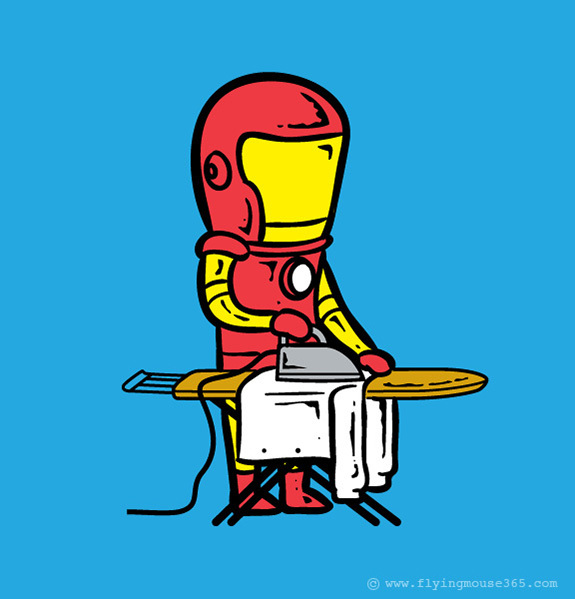 Who has ever thought that Iron Man would be ironing the clothes in his spare hours, other than saving the world? 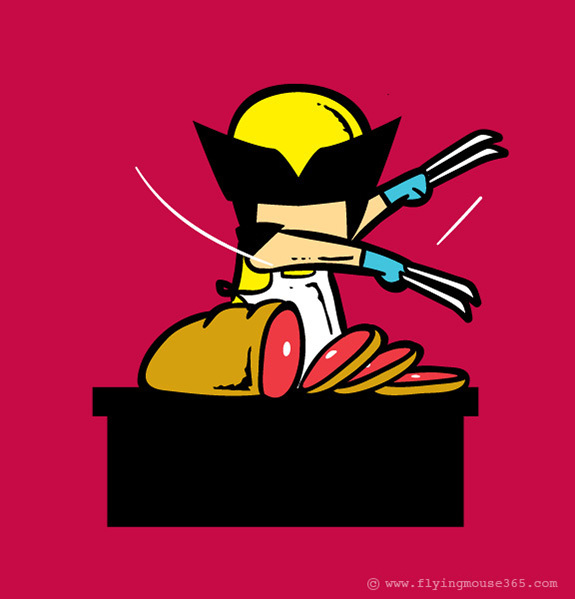 The Wolverine is surprisingly amazing who slices meat at a meat shop and enjoy his new experience doing it. 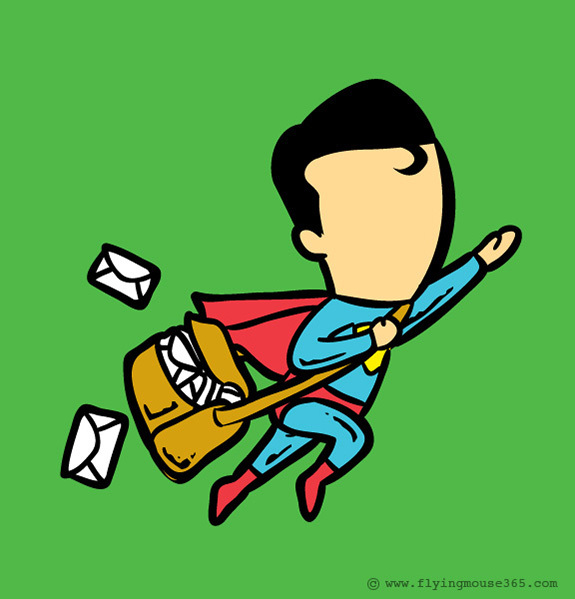 Superman with his extra super skills quickly sends away messages and delivers mails to people. 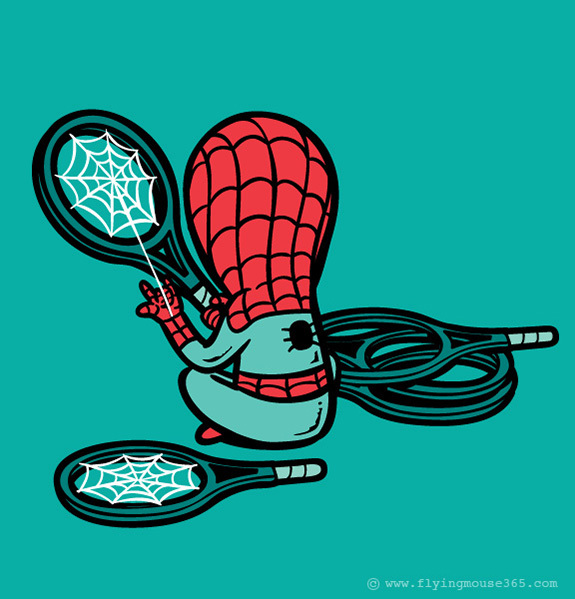 Spiderman who uses his web where needed actually nets rackets at a sport shop in his free time.